This custom NXT turned out amazing! It is classy mixed with a bit of edge, and our customer can be sure he won’t see another one like it at the club house at Predator Ridge. Enough with the chatter we will let the pictures do the speaking! From seat skins to seats! Installed on the cart and looking rich! We fired up the CNC machine and made some custom hood intakes, they turned out awesome! Our customer wanted his initials on the cart, no problem! This cart turned out super classy! 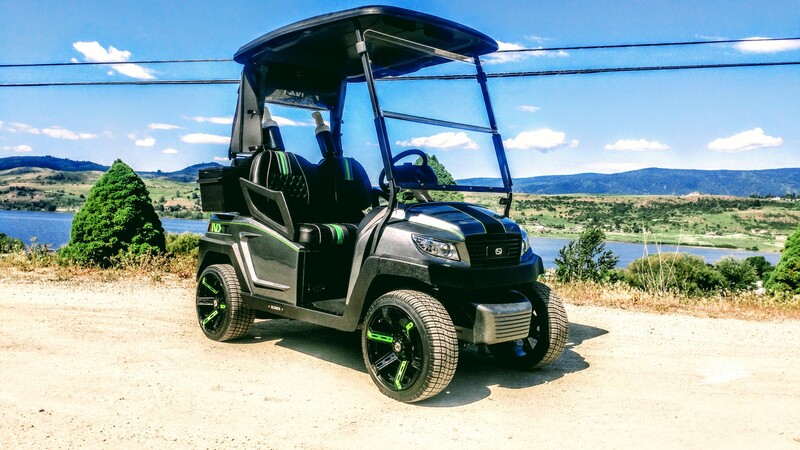 After seeing the pictures I think you can see what we mean by classy with a bit of edge, this is one sick NXT and it will be turning heads at Predator Ridge for years to come! Did you take a look at the first part of this custom cart build?